The pau ferro stroked cheerfully Jing Xin She came to her new room, which she had carefully chosen, large and bright, facing south, and full of beautiful new clothes. Excited, the two of them walked around the room and played role-playing. When eight wang ye and ten four ye pass by, hear the room movement, when they open the door to enter, just see the song small sandalwood to play eight wang ye. Jing Xin immediately fell down on her knees when she saw both of them, and tried to make a gesture with her eyes, but her back was completely unfocused on the wooden sandalwood of the door, and she was more and more excited, dancing with her hands and dancing. Only when she turned around, when she saw her composure face, did she stop awkwardly. On the side of the master of 14 suppressed smile, understanding of two people to pour tea, this just solved this embarrassment. Although eight Lord although dissatisfy song small sandalwood behind make up oneself, but listen to her speech is mostly positive meaning, the unavoidably happy in the heart. Right now, Liu Shang He knocked on the door and came in. He offered to invite him to visit the snow house. Looking at the back left one after another, eight wang ye wrinkled his eyebrows and clenched the teacups in his hands. 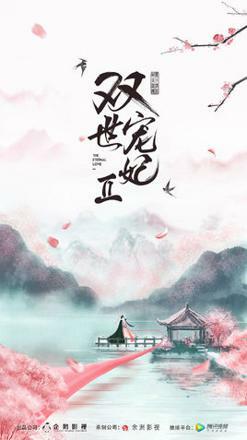 In snow courtyard, small bridge running water, green tree rose, a flower and a wood are all according to qu xiaotong's be fond of decorating, this lets qu xiaotong be in surprise, can not feel a bit deja vu. But this decoration is not so much for the sake of counselors and preparation, more is to say is for the future eight princess prepare, difficult way eight wang ye and Liu Shang have some skeleton in the closet, she visits and thinks. Looking at this scene, Liu Shang of one side felt that they were still in the last life, but in his mind, regardless of the afterlife, the current people are the only owners of the snow court. After returning to her room, qu xiaotong tossed and turned on her bed. Jing Xin reminded her that tomorrow was the day when she had made an appointment with the big Lord, but she had already received the payment from the eight lords, so she could not work without money. After much deliberation, she decided to send Jing Xin to send a letter to da wang on behalf of herself. For the sake of safety, she wrote a letter in English mixed with modern words Mo YiHuai When to bring yourself back to modern times. Jing Xin found him with a letter, which could not be understood by him naturally. However, Jing Xin told him with half a guess and half an imagination that this letter meant to express song tan er's affection for him and she suffered as much as in song fu. Hearing this, Mo YiHuai was half happy and half heartbroken, and he was determined to retake the story. The next day, qu xiaotang went to the snow court to serve Liu Shang on time. She wanted to strictly obey the order of the eight lords, but she was not able to fight against Liu Shang's dark tactics. With the excuse of teaching her to play the piano, Liu Shang dragged her to sit down beside him. They were so close that they even played with four hands. After that, Liu Shang ordered xiao tan to serve tea and change his clothes in the inner room. When she followed up the room after serving tea, she couldn't help thinking of the third stop of the eight princes. She worried that she might not get a reward if she went on like this. She proposed to ask Liu Shang to serve tea in the teahouse. Liu Shang refused naturally and asked her to help herself to get clothes. At present, she forgot to enter the inner room, but Liu Shang covered her eyes with a ribbon. Liu Shang told her that her daughter's family should be restrained, so she could not take off the ribbon, remove the human skin mask and change clothes slowly. Perhaps is blindfolded sense more clearly, qu xiaotang feels the flavor of Liu Shang is very familiar, and the same with the guy who is looking for his own house, two people's many habits are also the same, perhaps can become confidant. Liu Shang asked her if she knew so much about the guy, but she was upset that she couldn't go back. Jing Xin brought back the reply from Mo YiHuai. There were some words like qu xiaotong. Qu xiaotong thought that this proved that Mo YiHuai was indeed a fellow villager, and he was more determined to go home with him. To be on the safe side, Mo YiHuai met up on the river late at night and was excited to finally get back to the modern sandalwood. Who knows afternoon she just came out of the door, met with Liu Shang. Liu Shang asked qu xiaotong to serve himself bath, qu xiaotong had to do not want to follow the past, in fact, this is only Liu Shang to stop qu xiaotong to see the big wang excuse. Enter the room, while Liu Shang change clothes time, the color of the small sandalwood that rises again wants to take advantage of its not to peek, at this time Mo LianCheng He had taken off the mask of human skin, but fortunately he held her in his arms with a quick eye and hand, so that she did not see his true face. She had expected that she would not be so obedient, Mo LianCheng laughed and scolded a naughty little song xiao tan out of the gauze account, when suddenly, eight wang ye's voice rang outside the door. In fact, eight wang ye came to drink with Liu Shang to congratulate him on his move. Hearing the sound, qu ran to open the door and told him that Liu Shang was taking a bath. When he heard that his face was green, qu explained that he had complied with the regulations. In order to maintain the distance, Liu Shang even prepared a gauze mask to cover his eyes. Who knows, this let originally suspicious of the eight wang ye determined that Liu Shang must have some secret.